Verisae, developers of vx Maintain, is a global provider of cloud-based software that helps businesses automate their maintenance, energy, field service, and remote monitoring programs. With Verisae’s vx Maintain, organizations manage the full lifecycle of their facilities and all the equipment contained within, including purchasing, inventory, maintenance, and management of internal and third-party service contractors and their contracts. By combining business information and processes in a single platform, Verisae vx Maintain users have enjoyed reduced facility-related operating costs and overall energy consumption while at the same time improving customer satisfaction — and bottom-line profits. This Software-as-a-Service (SaaS) solution is easy to deploy; the web-based user interface and suite of pre-built, public APIs allow for easy connection with your existing systems. Verisae calls this pre-built integration and cloud hosting solution vx Connect, and it’s available for all of their platforms. Verisae vx Maintain’s mobile interface keeps field users connected with the office, updating all relevant information in real-time and making it easily accessible so action can be taken and issues resolved. Note: It is available as an on-premise, private server installation, but for most applications, using the vx Connect version of vx Maintain will be preferable for ease of use and cost concerns. We recommend vx Maintain to large retailers, distributors, food services companies, and transportation firms, in addition to natural users like the utilities and telecommunications industries. 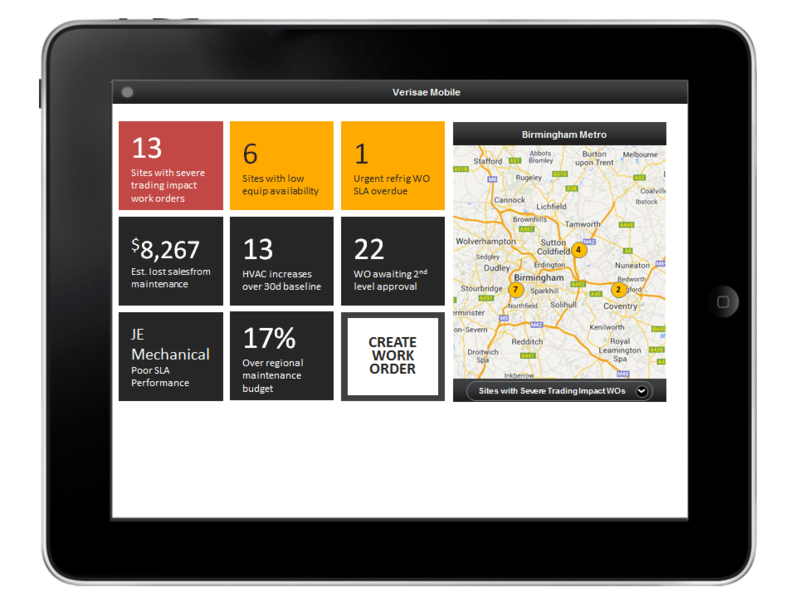 Not sure if Verisae’s vx Maintain is the right maintenance management software solution for your company? Got questions? Call, click, or email to speak with an unbiased Technology Advisor today for a no-cost, no-obligation consultation on your unique requirements. Learn everything you need to know about vx Maintain. Our experts will reach out to you shortly.